The International Sea Turtle Society hosted the 36th annual sea turtle biology and conservation symposium in Lima, Peru. The project manager of Ocean Spirits, Kate Charles, represented Grenada in this event held from 9 February to 4 March 2016. The general purpose of this symposium was to bring people together to spark discussions and share knowledge. It also served as a means of raising and answering questions regarding the conservation and habitat of sea turtles. Additionally, the symposium allowed for the forming of international networks and partnerships, broadening the scope for conservationists like Kate Charles. This year’s symposium theme was “Crossroads” and the conversations surrounded the Caribbean region’s importance in turtle conservation. Kate Charles gave a poster presentation on findings from a 10-year research by Ocean Spirits. 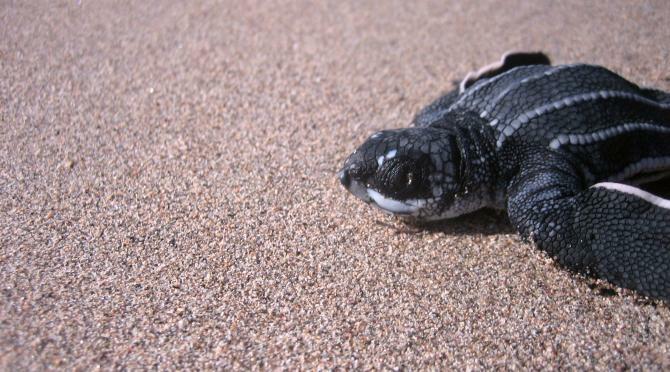 The research focused on the leatherback turtles and their nesting in Grenada. She stated that the experience allowed her to closely interact with some of the World’s top sea turtle experts. 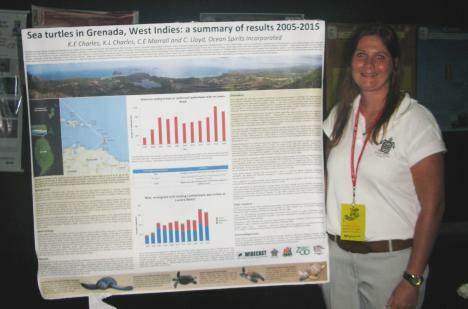 “It gave me the opportunity to promote Grenada’s leatherback sea turtle research and connect with people working in similar fields to discuss some of the issues we face like climate change, beach erosion and the threat to some species of sea turtles from ongoing legal hunting in countries such as Grenada,” she stated. Now, Kate Charles and the rest of the Ocean Spirit team are ready to put into action, the knowledge gathered at the symposium.